You look perfect. And the pumps are gorgeous. gorgeous outfit, in love with that jacket! ps. we are giving away a top and skirt from WTG!! Love your Prada. It is such a classic piece. 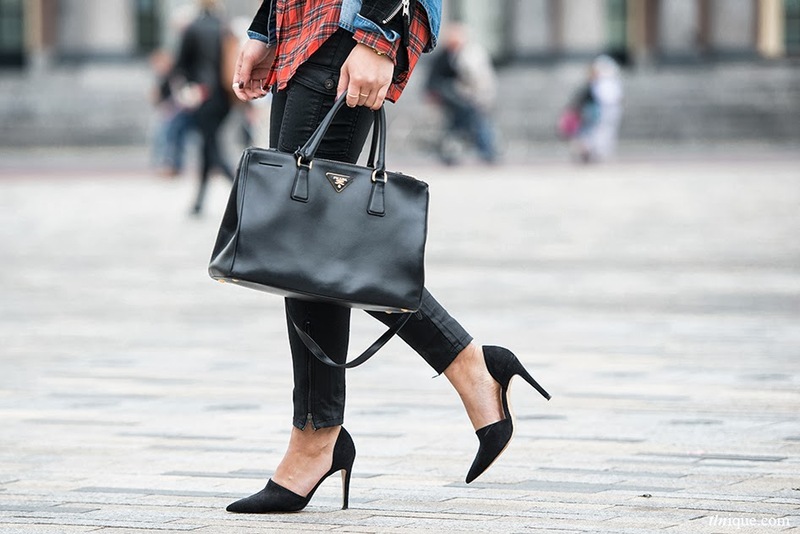 Nice casual look; the shoes and bag are cute. Love the layering here Levi. You're gorgeous! Wat een mooie combo ! 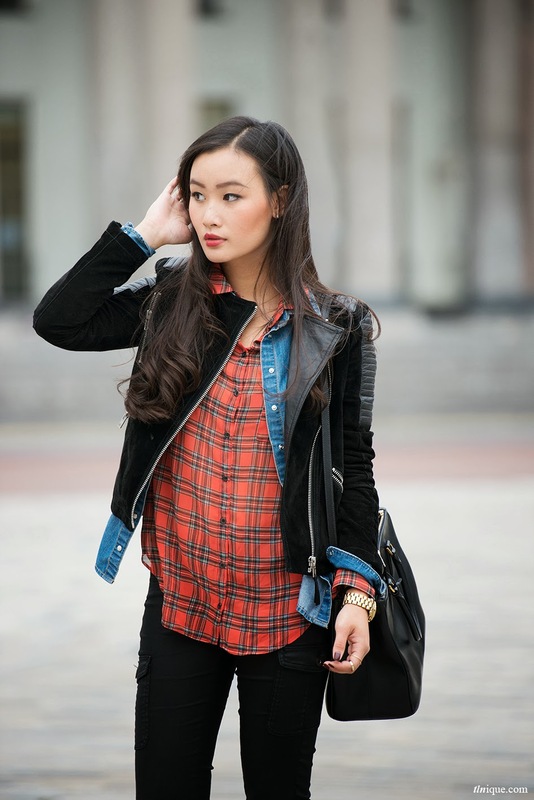 Tartan en jeans zijn leuk samen!